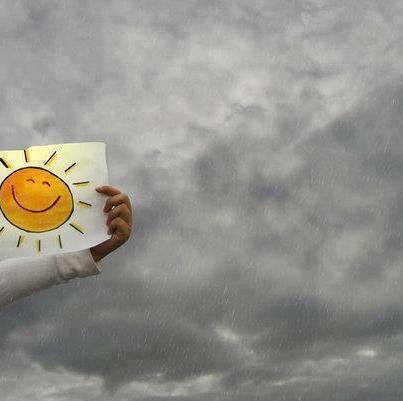 A person should create his own sun in the cloudy days. One should fight for happiness without giving in to demoralization, without losing his hope. Not everyone is born in the same plain with the same luck. But what does luck mean in the final analysis? nor may making a quilt of newspapers on one’s self necessarily cause unhappiness. Money does not make a person more alive. Then what does it mean to be fortunate? Apart from the assumptions of having wealth or a family, what makes one more fortunate than the other? Us, our own selves… Being who we are. How developed is our ability to challenge problems or our view of life. For someone who has lost his car, enjoying a walk without missing the vehicle may show how lucky he is in his personality. or simply the ambition to cling to life, we can talk of having a fortunate presence in life. When we become invincible, life gives us choices. To learn to be alive without burying one’s elf in darkness is a must. Otherwise we lose our colors in darkness. it is learned during growing up; desperation is the only sign of aging. We forget how the very small things can create great contentment. For how many of us is cotton candy a fountain of joy? Lucky are those who will watch the rain drops! This entry was tagged barriers, day, difference, happiness, Inspiration, joy and happiness, Love, luck, Personal, soul, Sun, weather. Bookmark the permalink.